Sacred Heart of Jesus is committed to providing its parishioners invitations that soften hearts for receiving “the more” that God wants to give. It's important to us that your spiritual needs are met, and that every moment you spend on these grounds is an invitation to Encounter Jesus. As our parish continues to grow we are continually reviewing needs. It is with this examination that we announce the transitions below. Mona Leger Tramonte will now serve our parish as Sacraments and Parishioner Relations Coordinator. Mona will serve as the point of contact for all Parish Missionaries (formerly called parish ministers), and parishioners receiving the Sacraments of Baptism, Matrimony and Funerals, and will be integral in orienting new parishioners to our parish. If you serve Sacred Heart as a Parish Missionary please contact Mona for future needs. Colette Anzalone will now serve our parish as Hospitality and Records Administrator. 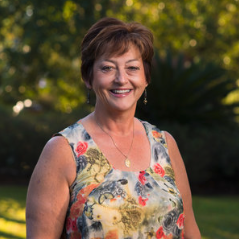 In her new role, Colette will continue to provide our community with planning for events, supervision of all cemetery related tasks, and Christian Charities ministries. She will now also ensure our campus is a safe environment, and oversee all Sacramental records.